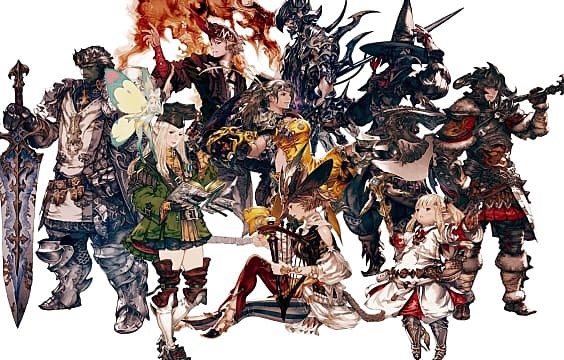 With the recent release of the Heavensward expansion for Final Fantasy XIV, I felt a bit inspired to write about something FF related. 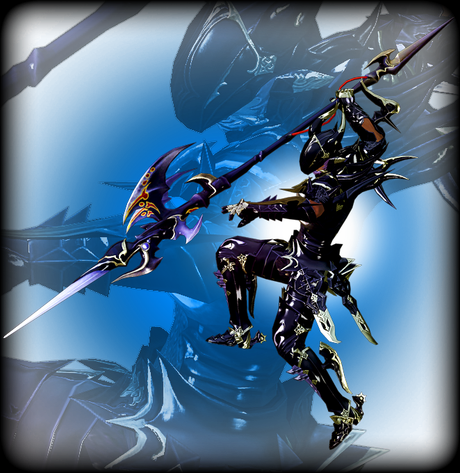 One of the biggest areas of buzz was about the three new classes: the iconic Dark Knight, Astrologian, and Machinist. 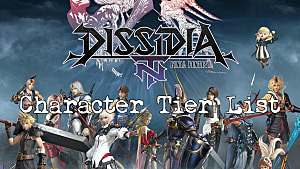 So this week the topic is my personal top-tier, and fun to play, Final Fantasy Job classes. 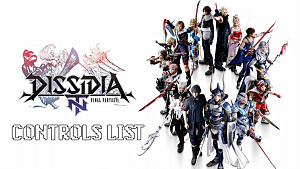 For this list of Jobs from the Final Fantasy series I’m not going to rank them but discuss what makes them useful to the player and how they are just fun to specialize in. Although there are not that many named Bards in the FF series, the sole one that comes to mind is Edward from FF IV. Otherwise the Bard appears usually as a class for the player to choose. Although the Bard lacks in physical strength, their ability to buff the party and debuff enemies can come in handy. They usually also have some specific spells/songs that do damage opponents, a Bard’s ability can make or break the party when facing a Boss. This class is probably the most represented in the FF series and that is not surprising in the least. Who doesn’t want to have an almighty wizard character that can rain fire, ice and thunder down on their enemies? The Black Mage job is very simple and yet one of the most effective and useful jobs out there. However the Black Mage is usually a bit of a glass cannon as they sacrifice HP and defense for their high Magic stats. Although their Magic power is sometimes terrifying the FF series has featured some very unique Black Mage characters such as serious, yet protective Lulu from FFX or Vivi whose adorable antics and heart-warming actions captured many gamers’ hearts in FF IX. There is just something about the name Dragoon that just emits the word awesome. These spear and lance-wielders are almost always associated, usually by their distinct armor, with dragons. These lancers are known for their trademark Jump ability and their expert physical attributes mixed with decent speed stats. There are a few fan-favorites demonstrate a calm, cool personality like Kain Highwind from FF IV and Sid Highwind from FF VII. One of the more original Jobs of the FF series, Dragoon gives a player adaptability, speed and power in one badass package. The holy and light variation of the traditional Knight class, Paladin is the counterpart to the iconic Dark Knight. Paladins mostly use heavy weapons and armor making them power tanks but they also have access to White Magic and the Cover ability allowing them to provide support. Paladins often can also equip Holy weapons, which usually pack quite a punch such as Save the Queen and Excalibur. 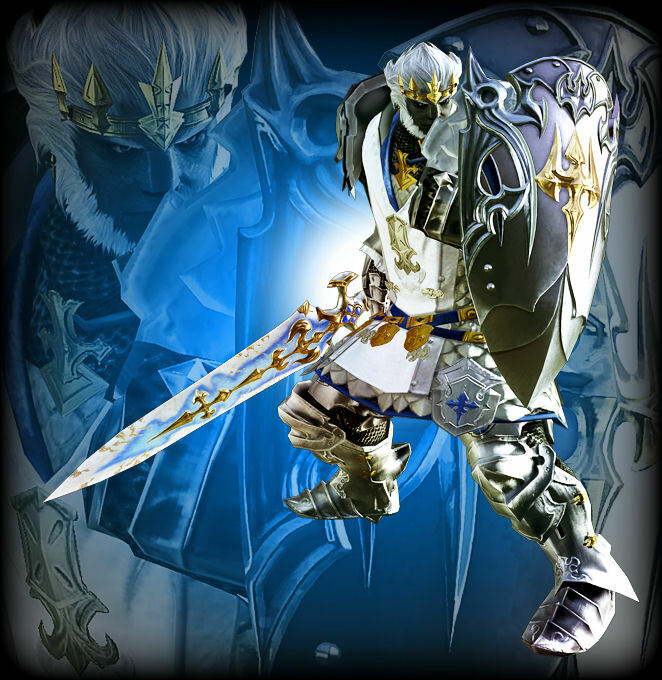 Notable Paladins in the FF series are Cecil Harvey from FF IV and Beatrix from FF IX. Oddly enough both characters are misguided at times, proving that even the most righteous of people can be vulnerable, still both characters have the abilities and the skills that show that even benevolent Paladins are a force to be reckoned with. My first introduction to the Monk class was in Final Fantasy VI with Sabin. He seemed like a very deep character, very in control and could deal a bunch of damage in battle. What really sold me was the ability for Sabin to basically suplex a train during a boss battle. Just look at that! How badass is that? Safe to say the Monk is a powerful class that mostly fights barehanded, and occasionally with claws and knuckles. Despite not wielding weapons Monks can deal as much damage as any other physical class thanks to their amazing strength stats and they probably have some of the highest HP stats. Although the high HP stats are probably done to make up for the fact that Monks can’t equip most armor. As if all of this wasn’t enough Monks usually have abilities that allow them to counter physical attacks and heal themselves with moves like Chakra. Alongside the stoic Sabin there is the hyperactive Zell from FF VIII and the fan-favorite Tifa Lockhart and her trademark Seven Heaven Limit Break in FF VII. The name kind of says it all, who wouldn’t want to play as a Ninja? This Job combines the speed of the Thief Job with the strength of most warrior-type Jobs. The Ninja Job also allows players diverse ways of attacking such as the ability to dual-wield weapons, use Throw weapons that can deal a lot of projectile damage, and magical Ninjutsu skills, which give them elemental attacks like Black Mages. The small downside is that, like Black Mages, Ninjas have lower HP and Defense stats but usually their evasion abilities are so high it balances out those weaknesses. The FF series has multiple badass Ninja characters such as Edge from FF IV, the mysterious and noble Shadow from FF VI and the hyperactive Yuffie from FF VII. The Ninja has a huge bag of tricks for dealing with any enemy type and that’s probably why its one of my favorite Job classes. Like Ninjas, the Samurai Job kind of has a certain level of hype attached to the name. Samurai are very similar to Paladins in the sense that they are an enhanced form of the Warrior class. Samurai can equip katanas, shields and heavy armor. They usually have abilities like Bushido that can inflict a huge amount of damage but also they also have access to skills that help increase their mobility, weaken enemies’ stats and rarely Samurai have Magic abilities as well. There aren’t as many Samurai characters in the FF series, but what they lack with quantity they make up with quality. Cyan Garamonde is a fish out of water with his ideals of chivalry and Bushido in a technological world of FF VI and my all-time favorite character Auron plays a more silent, yet badass teacher character in FF X. 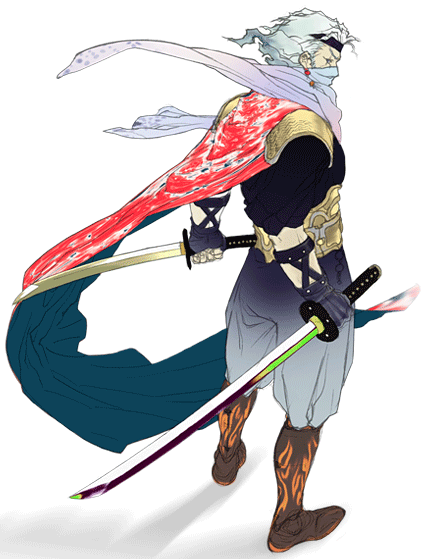 The Samurai Job class is one of the less common jobs in the FF series but when they appear they arrive with amazing character and abilities. For those who aren't sold on Auron being an amazing charecter, check out his Overdrive aka Limit Break. 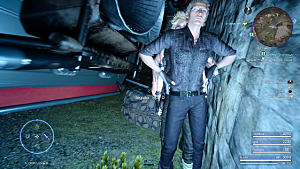 No matter the quantity or difficulty of any battle in the FF series, in any RPG even, you are going to want to have a healer character. With that, look no further than the White Mage. Like its twin the Black Mage, the White Mage is rather iconic for the FF franchise. They have one of the higher Magic stats of all the Jobs, although it is lower than either the Summoner or Black Mage. White Mages do tend to have higher physical stats than either of those two as a trade off. Like most spell casters they can only equip light armor or mage robes. As for what exactly constitutes their magical arsenal, it varies slightly from game to game. Naturally the White Mage is indispensible for their knowledge of healing Cure spells as well as anti-status effect Magic like Esuna. As White Mages grow more powerful they also usually have stat-boosting spells that help defend fellow party members as well as reviving spells like Life and Raise. As for offensive spells White Mages rarely have magic designed for dealing damage, although they do sometimes have access to wind magic and of course, another trademark spell of the White Mages is the spell Holy, which is usually difficult to obtain but deals huge amounts of damage. 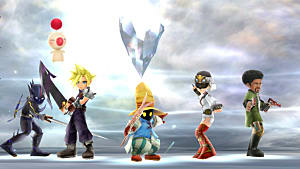 Notable White Mages in the FF series include Garnet from FF IX, Yuna from FF X and Rosa from FF IV. All three of these ladies are characterized by their innate kind nature and gentle bearing, but each of them also prove that White Mages can be strong and determined combatants. Saving the best for last the Summoner Job class is definitely one of the best Magic Job classes in the series, hands down. Choosing this Job can be initially difficult as they have some of the lowest Physical stats and their spells, while grandiose and powerful, usually require more MP than the average spell. However once the Summoner gains some levels, they become, somewhat literally, a one-man army. Its always fun to see a character cast a spell and summon an iconic FF summon like Ifrit or Shiva and watch them decimate your enemies. In some games of the FF series, Summoners are given some versatility. Summoners can usually have a different set of weapons to equip from rods and staves to daggers and whips. They also sometimes have access to either Black or White Magic for additional damage dealing or support potential. Quite often the Summoner of the party is used as a important plot element for their games’ story. For Rydia (FF IV), Garnet (FF IX) and Yuna (FFX) being a Summoner is part of their identity in their societies and usually that is the case as their Summoning capabilities can even change the landscape or save an entire city. With the Summoner Job, its really a matter of going big or going home. With that this Personal Picks article has come to a close. 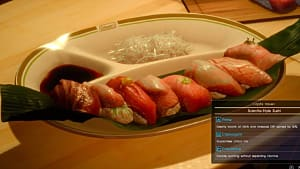 What did you think of my personal top Final Fantasy Job classes? Did I not include one of your favorite Jobs? 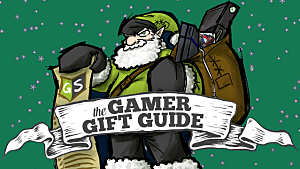 Leave a comment and tell me your thoughts and as always for all your gaming articles and news, check out GameSkinny.com. Dark Knight is legitimately the best, because it's been used in different ways throughout the series. it was used as a self-sacrificing DPS class. Then in FFXIV it became a tank class, with decent magic mitigation. Nah I totally agre with that. It is rather impressive how much Square has had it evolve over the years. I just personally didn't choose it because of a couple reasons. I have used it plenty of times, but often I would use the HP draining abilities too much and cause myself some troubles because of that. Also the design always looks so cool, but I consider myself too "paragon" where using "dark charecters" doesn't always work with me. Also I haven't played FFXIV at all, MMORPGs aren't exactly my thing also not a huge fan of the subscription fees. I am glad to hear that realm reborn is doing them justice though. Has to be Dark Knight, paladin, and Dragoon for me. Yeah I was considering Dark Knight for the list, its a real cool class. I love playing as Cecil as a Dark Knight. But in the end it lost out to the Summoner. I originally planned an honorable mentions section and the dark knight was on it.